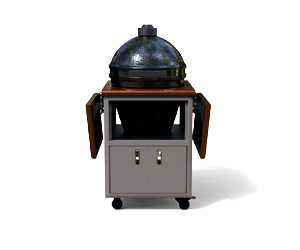 The TORCH features enclosed weatherproof cabinets support your grill and protect all your grilling and outdoor kitchen equipment. Our team of designers carefully select materials to reflect tastes from classic to contemporary – we’re quite certain you’ll find a winning combination from one of our suggested palettes. 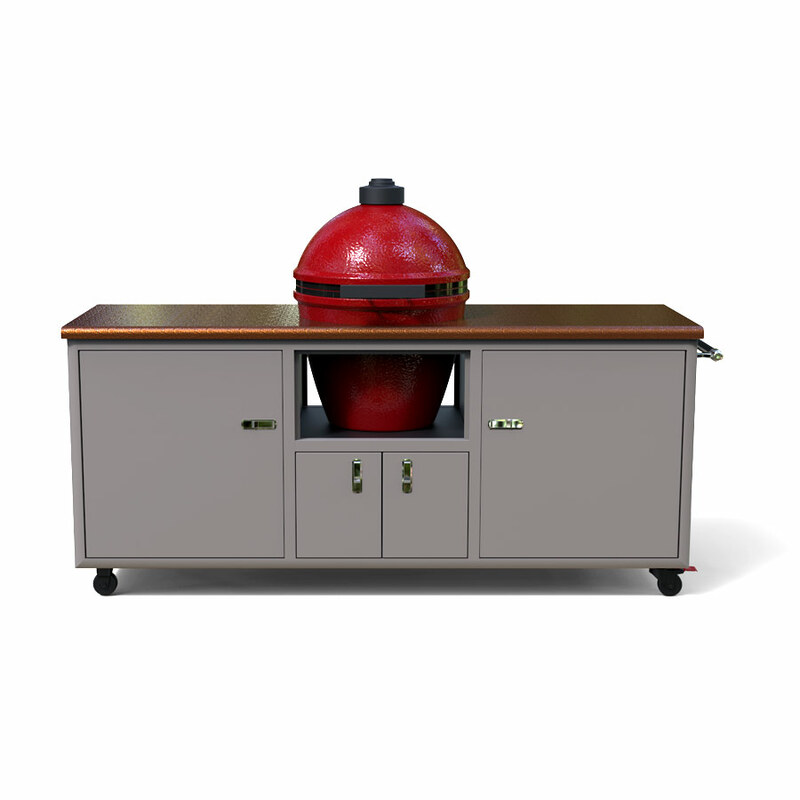 Each unit is designed to be hassle free and simple to clean. 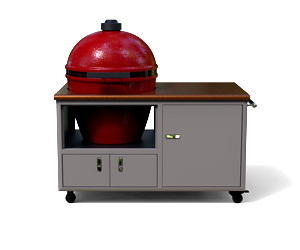 The dry-sealed Torch storage holds up against all weather conditions. 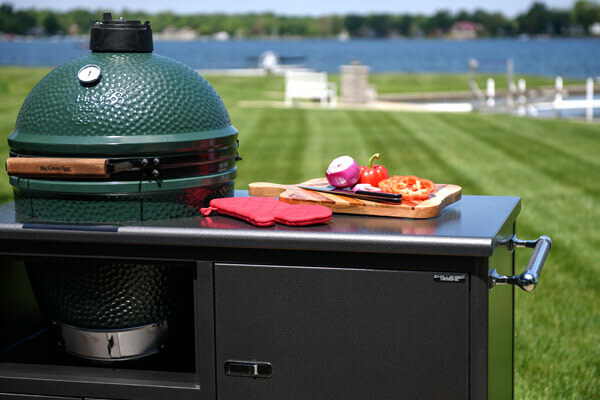 Weatherproof storage, ample counter space, and streamlined elegance make the Challenger Designs Torch the absolute necessity for your ceramic grill. 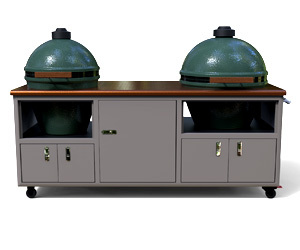 The counter provides ample space to fit two ceramic grills. 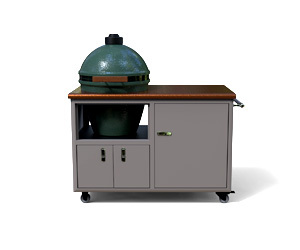 Plenty of weatherproof storage space with two spacious cabinets and even space under the grill for utensils, a cooler, and anything else you might need. A vast 76-inch table top for lots of food prep space. 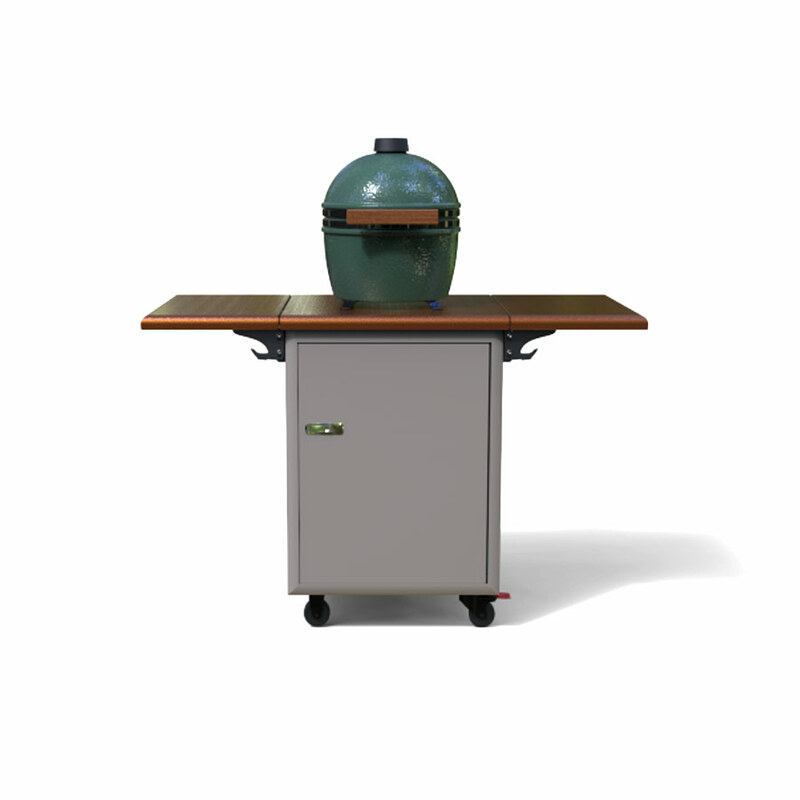 Centrally mounted grill for easy serving, and lots of important extras. 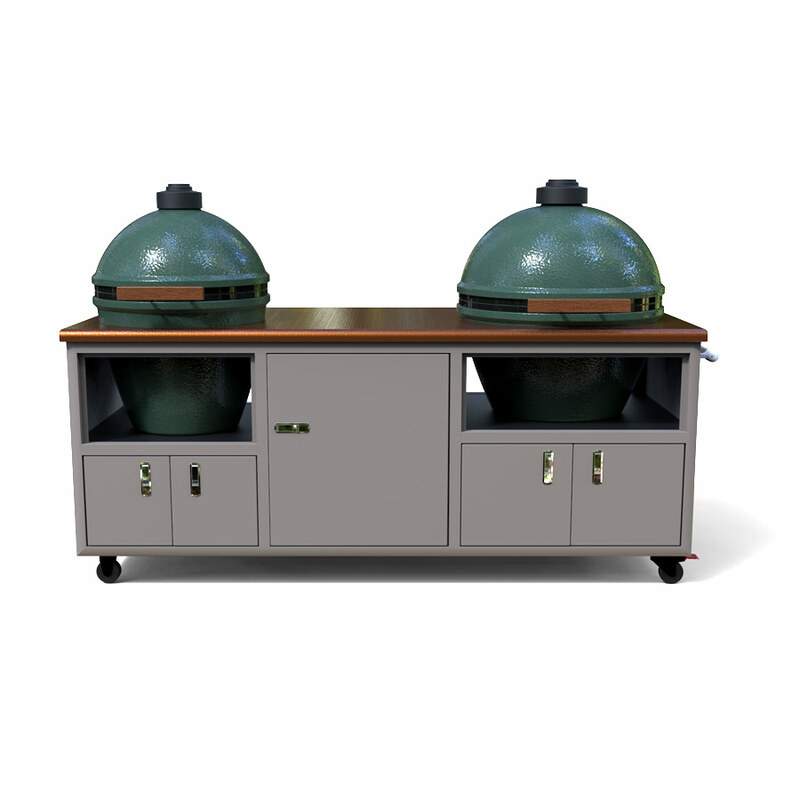 Plenty of weatherproof storage space with two spacious cabinets and even space under the grill for utensils, a cooler, and more. 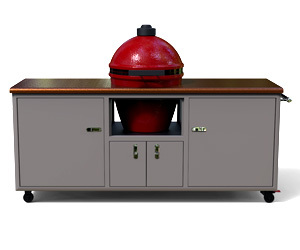 Large weatherproof storage cabinet to hold charcoal and grilling essentials. 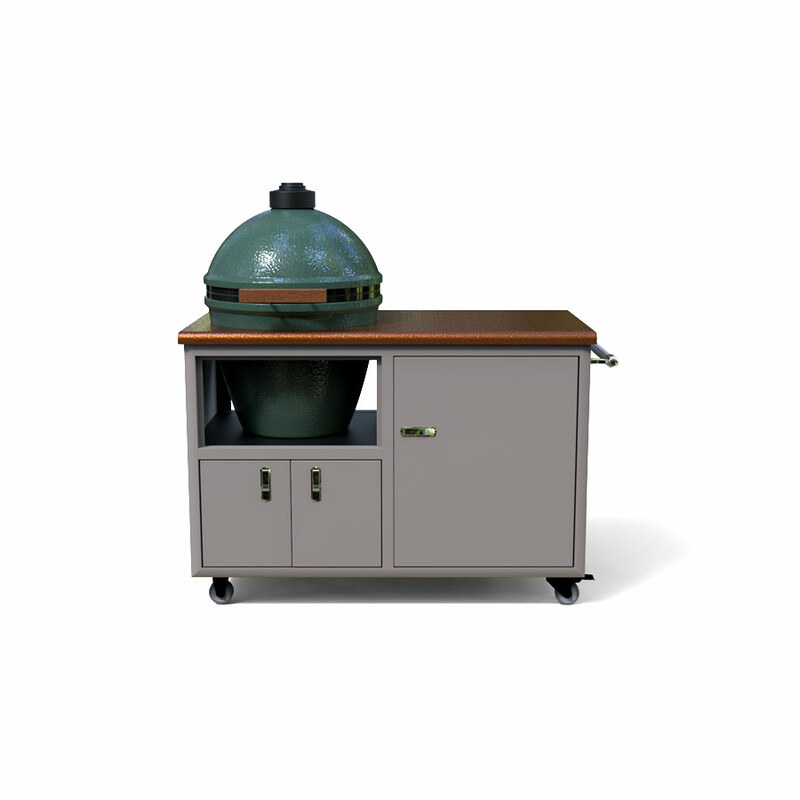 Smaller cabinets for holding additional equipment. 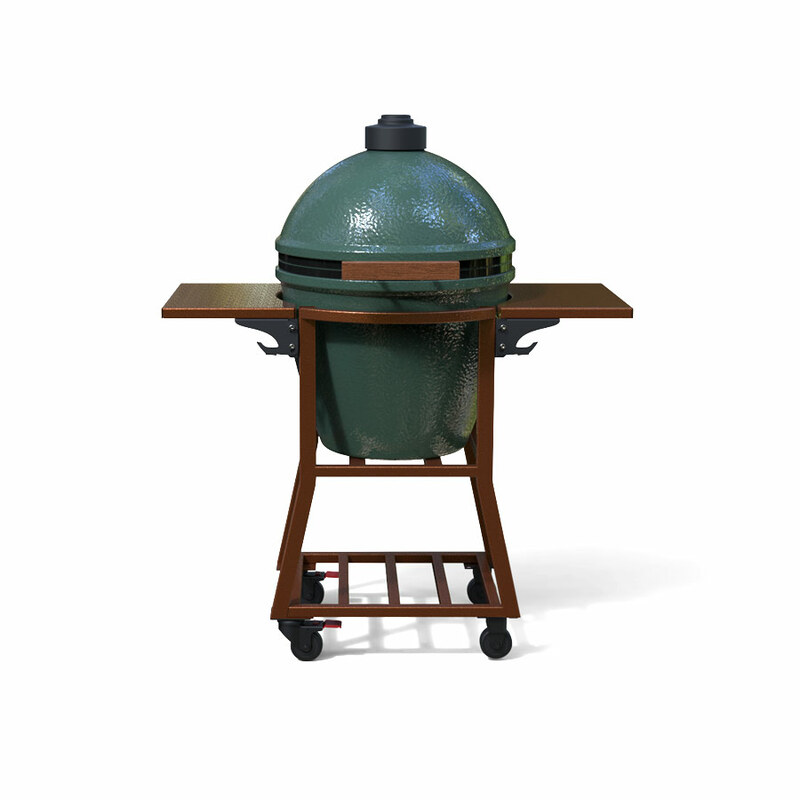 Works great as a stand-alone cart for home or a multi-purpose grill when you’re on the go to races, reunions, and other events. Equipped with plenty of work space and storage. 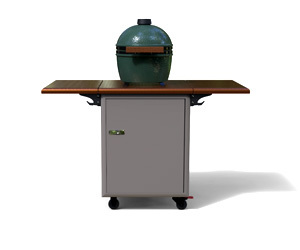 The flip-up countertop extensions expands counter space to 56″. 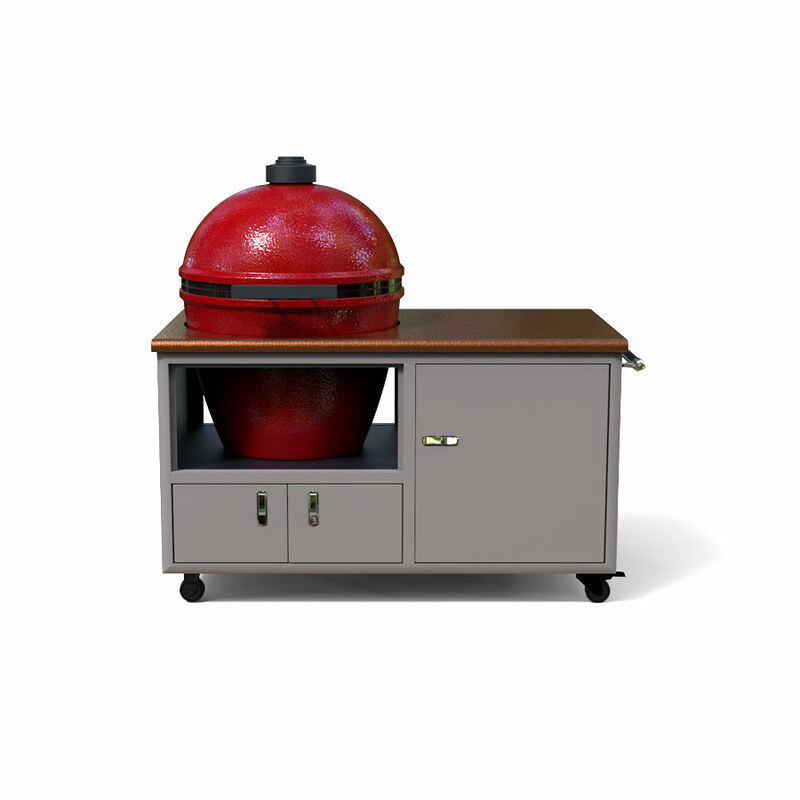 If you love the utility of the smallest ceramic grills, the Torch Table Top is a perfect fit. 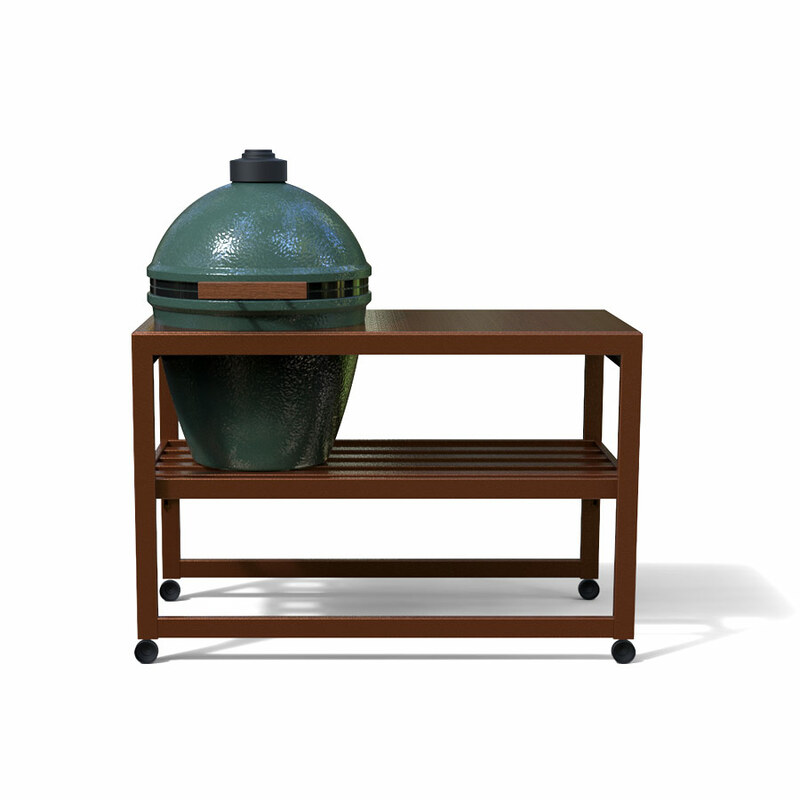 This lightweight cart adds storage and countertop space wherever you go. 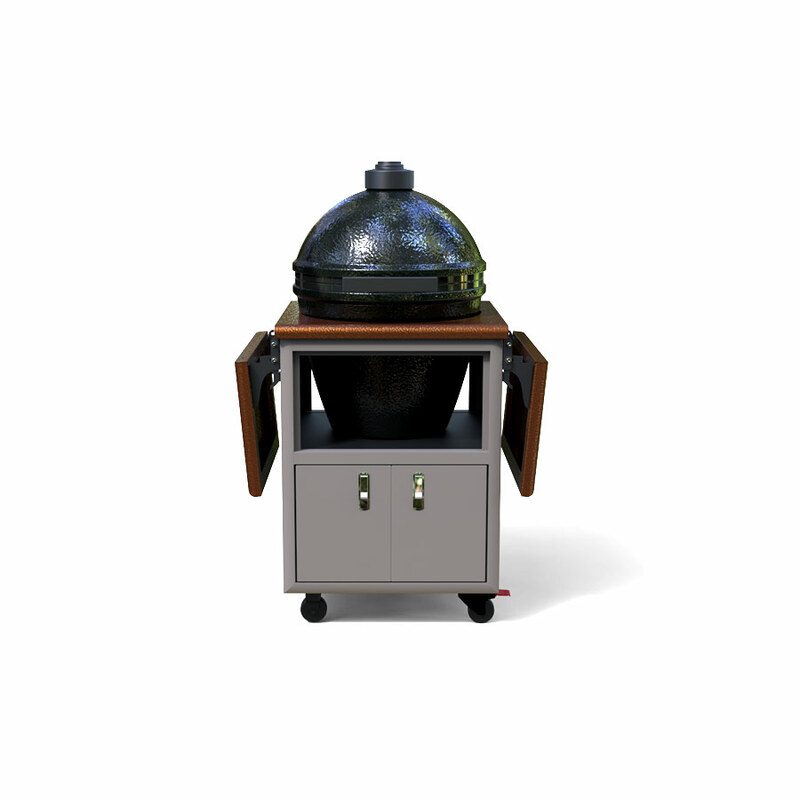 If quick convenience is your style, the Challenger Designs Spark is the perfect compliment to your ceramic grill. Take it anywhere you need to go. 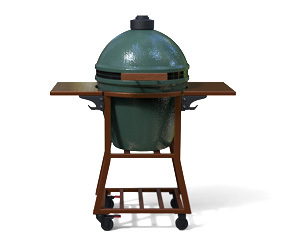 Either size makes a fine addition to any patio and will last a lifetime. 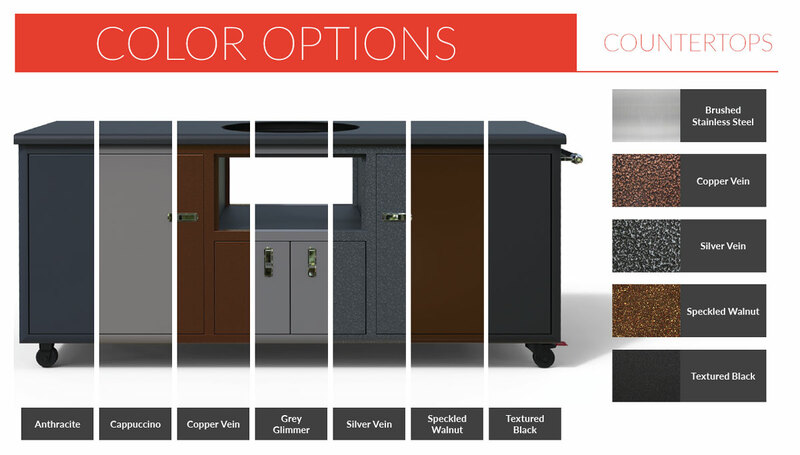 All the mobility and convenience of the smaller Spark models with more countertop space to work. 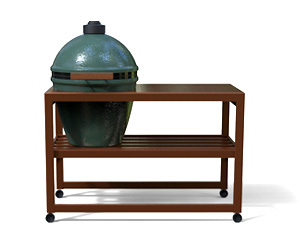 Handy shelf to keep grilling items at the ready.